You must be logged in to be able to see prices and place orders. You can create a user login under "MY ACCOUNT"
MESO HAIR LOSS CONTROL is a unique agent against hair loss, which fights the loss of hair and stimulates new growth. 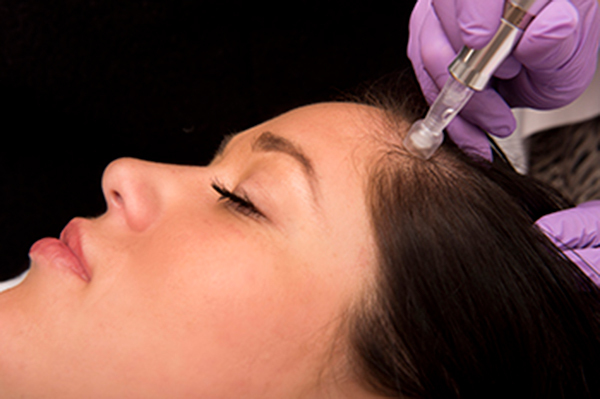 MESO HAIR LOSS CONTROL increases blood flow and aerates the scalp. The product contains the exact composition of vitamins, amino acids and minerals needed to optimise benefits from the body’s metabolism. MESO HAIR LOSS CONTROL ensures permanent bioavailability and thus optimises the production of keratin proteins. The treatment ensures the exact composition of amino acids needed for healthy hair, and is an essential component of anti-hair loss agents. 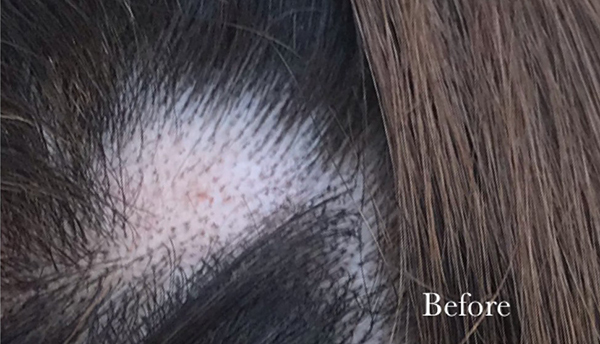 Removes dandruff and the sebaceous glands and treats thin and lifeless hair. Saw palmetto is used mainly by men to ease symptoms of benign prostate hyperplasia, which is an enlargement of the prostate, but not a cancerous condition. Studies of treating enlarged prostates with saw palmetto indicate that the palmetto also stimulates hair growth, and it appears that saw palmetto has the same effect as Finasteride, but without side effects. MESO HAIR LOSS CONTROL ensures permanent bioavailability and optimises the production of keratin proteins. The treatment ensures the exact composition of amino acids needed for healthy hair, and is an essential component of anti-hair loss agents. MESO HAIR LOSS CONTROL reduces hair loss, and in some instances the treatment can completely stop hair loss. 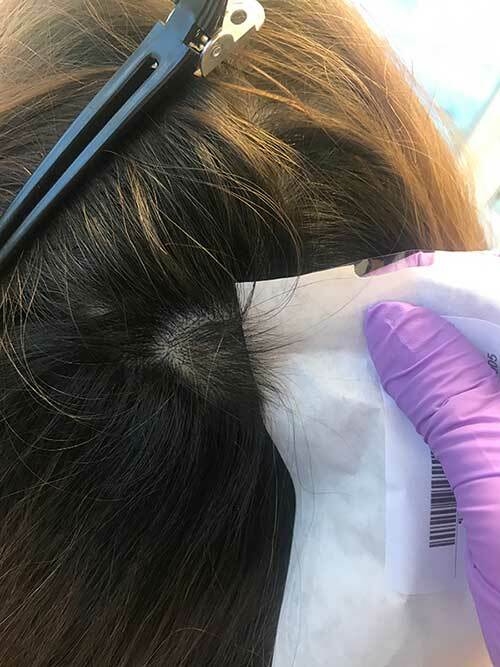 After the recommended ten treatments with MESO HAIR LOSS CONTROL, the average diameter of the hair strand is increased, and the hair becomes fuller in appearance. Biotin is a vitamin B that is part of several metabolic reactions and the regulation of sugar decomposition. Sometimes biotin is referred to as vitamin H or vitamin B7. The vitamin is water-soluble and the body can never contain too much biotin as, at some point, it is always secreted through urine. It is partly due to this vitamin MESO HAIR LOSS CONTROL is so effective against hair loss and helps increase the health of the hair. Glucose is a significant energy source and is important both for maintaining the body and for ensuring it performs optimally. Biotin plays an essential role when the body processes glucose. This vitamin plays also an important role in the body’s fight against wearing and tearing. Both growth and cell replication depends on biotin and the vitamin helps retain the hair’s health and renewal, and also plays an important role in maintaining many of the body’s other functions. Biotin is a vitamin that keeps the hair healthy, strong and glossy. It is clinically documented that the body’s level of biotin is just as fundamental as its level of other vitamins and minerals. 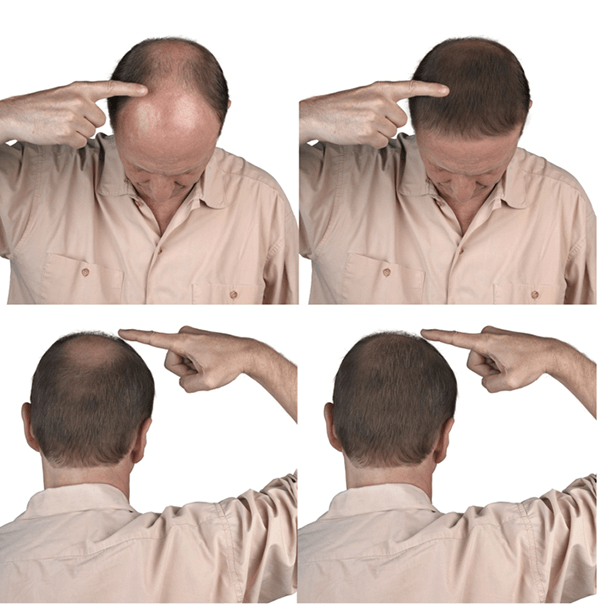 MESO HAIR LOSS CONTROL is an effective and well-founded treatment that works through eight stages. This makes it stand out from other treatments that have fewer focus areas.